It's been quite a while since I stopped joining my Korean friends from meetup.com. I decided to go for this dinner outing at Sarang Restaurant and to see Ji Young again since I last met her in April this year. She slimmed down so significantly after her wedding. 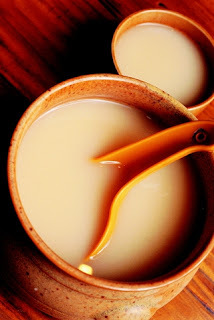 I tried Makgolli (a milky traditional Korean rice wine) for the first time. It tastes sweet and fragrant. I felt that the alcohol was just right but they all said that the Singapore's version is milder. Whenever they toast, it seems that they must finish the content in the cup at one go. 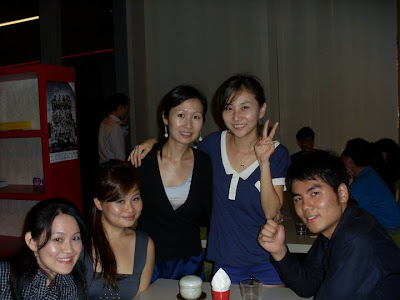 Koreans (male and female) can REALLY drink. Hope to join more of such meetups in future. Interesting! What is this meetup.com?